Foldable smartphones are coming. 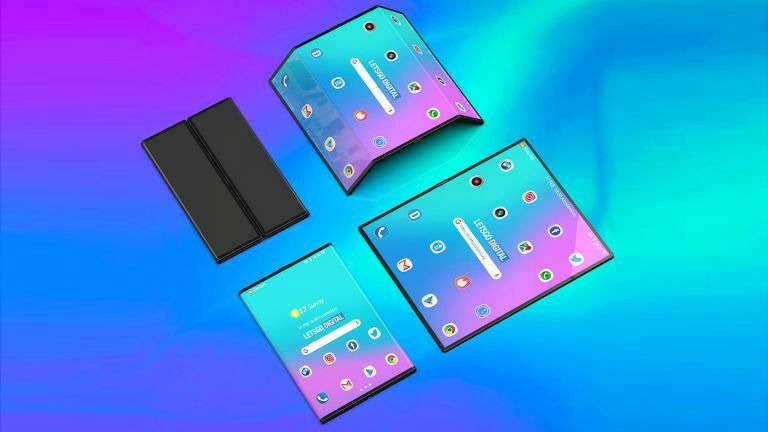 Samsung will launch its long-awaited Galaxy Fold in the United States on April 26 and on May 3 in the UK and Europe. The handset, which has a 7.3-inch foldable screen that opens like a paperback novel, will cost €2,000 ($1,980, roughly £1,750). And if you think that's a lot, the rival Huawei Mate X – which has an 8-inch flexible OLED that wraps around the outside of the device – will cost a whopping €2,299 (roughly £1,000, or $2,600). If that sounds a little too costly, don't worry. Xiaomi is preparing to launch a rival handset with a pliable display that will cost much less than rival devices from Samsung and Huawei. According to a new report from iGyaan, the as-yet unannounced Xiaomi phone will cost $999 in the United States, and €999 in Europe, which works out £860. That fits with the business model we've seen in the past from Xiaomi, which aims to sell best-in-class hardware that costs less than the existing products in that category. Xiaomi will launch the foldable phone sometime between April and June, the latest report claims. The handset will launch in China to begin, followed by global markets. The new flagship smartphone, which is widely-tipped to be branded either Xiaomi Mi Fold or Mi Flex, will use an OLED display designed and built by Visionox Technology. It's unknown whether this screen will be as vibrant and responsive as what we saw in our brief time with the Huawei Mate X.
Xiaomi confirmed that it's building a foldable smartphone in a statement last month. A spokesperson for the company said: "The double folding smartphone is the latest innovation by Xiaomi. One of the key components of the phone, the flexible folding screen, is co-developed by Xiaomi and its supply chain partner. Aside from the screen, its design, folding mechanism and MIUI adaptation are developed by us. "Xiaomi is first in the world to present a double folding smartphone and has the same technical challenges posed in its three different form factors – double folded, single folded, and tablet form. Prior to finding the best solution, Xiaomi has conducted extensive research into the development of a robust folding mechanism." Xiaomi Mi Fold (or Mi Flex) will purportedly be powered by the Qualcomm Snapdragon 855 system-on-a-chip with some 10GB of RAM, as you'd expect from most modern flagship smartphones. If the foldable handset is set to launch as planned between April and June, we'd expect to see an event announced very soon.